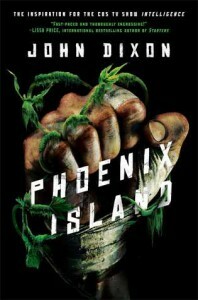 Phoenix Island was packed full of action and suspense right from the very beginning and it never let up. There was something always going on whether you were following Carl or Octavia and you couldn’t help but root for them. Carl is a fighter and his temper has landed him in trouble everywhere he goes, but he is always trying to help some weaker person. Since he is an orphan and won’t be missed he is sent to Phoenix Island. Carl soon realizes that this is not just a boot camp to straighten out wayward teens, but a place where they are turning kids into killers. Carl is determined to not make trouble but on the very first day he makes enemies with his drill sergeant and that was the worse thing to do. Drill sergeant Parker is gunning for Carl but he does really good at keeping his temper in check as they go through grueling routines day in and day out, but he has made enemies and will have to watch his back. Parker gives him the one job that turns most of his group against him. Carl makes a couple friends, Campbell, Ross and Octavia. He really likes Octavia and finds her easy to talk too so when he finds out what this place is really like he wants to find a way to get them off the island. Then Carl’s temper gets the best of him and he gets in a fight that lands him in the sweatbox. He has gained the attention of the man who runs Phoenix Island and is taken to the Chop Shop (med center) to heal and while there he gets a few new inserts in his body. His new body that is filled with chips, but not the master chip at least not yet. While Carl is with Commander Stark, he trains and feels stronger than ever, but even though he likes being there compared to with the group he still knows what they are trying to turn him into. A killer kid. Can he get off the island or save his friends? Carl is a complex character. He is very mature for a sixteen year old but it probably comes from being in the system after his parents died. He is a natural born fighter, but he has a heart. When others around him are turning to bloodlust and giving in to the routine he is always trying to look out for his friends and those weaker. He is a great character. Like I said before the TV show intelligence was based on the concept of the chips from this book, but that is about as far as I would say the similarities are at least to me. I think this book would make an awesome Teen movie and be something different for teens. It is a bit brutal so if that is not your think you might not enjoy this, but I thought it was pretty good. I would recommend this for anyone who likes a good action packed survival type novel.